Have you been considering an upgrade to you home or turning a fixer-upper into your dream home, but haven’t followed through because you don’t have the cash? Have you considered a construction loan? You may even want to find a great deal on an old house and turn it into the perfect home for your family. You can do it with a construction loan. Construction loans are considered ‘story’ loans. This means that you are essentially purchasing an idea. Since the lender is investing their money on something that does not exist in that form yet, they must know the ‘story’ behind your idea. This ‘story’ must make financial sense to them before they will loan you the money for the construction. A good case for a construction loan is where the property is substantially improved at least as much or more than the cost of the construction. A construction loan is like a line of credit. You are approved to spend up to a certain amount of money to fix up your home. These type of loans usually require interest-only payments during the construction and become due upon completion. The balance due is then ‘converted’ into a typical 30 year mortgage. Construction loans usually have a higher interest rate than the permanent loan. Some lenders may refinance your home to include the construction loan, thereby causing a single higher mortgage. Use it for owner-occupied property. Construction loan lenders have become sticklers about making sure the people they are loaning money to are not just trying to rehab a house that they intend to sell for a quick profit. The lenders will even scrutinize the source of your income from a few years ago during the real estate boom. If you were making money flipping houses then and now you are looking for a construction loan you may be out of luck. Try Fannie Mae. The Fannie Mae HomeStyle Loan is a loan to help borrowers with good credit (over 660 FICO) and solid documentation to fix up their homes. “You’re able to borrow up to 95 percent for the mortgage and construction work combined,” says Christine Bell, president of Allegiance Mortgage Services. Loan limits for these products depend on the local real estate values and your location. Buy and wait. If the fixer upper you are looking at is livable for a while, you could contemplate buying it and waiting at least a year before applying for a construction loan. Living with it for a while could give you more specific ideas on how you would like to renovate. Many lenders are more likely to fund a loan to people who have been in their house for a while because they know they are not just going to flip the home. Make sure your income is stable. Credit scores are critical to getting a construction loan, but not the final say. If someone has a decent credit score but they have a good work history and seem to be on the way up, there’s a good chance they will get the loan. But if someone has a good credit score with unstable work history the lender may take a closer look. 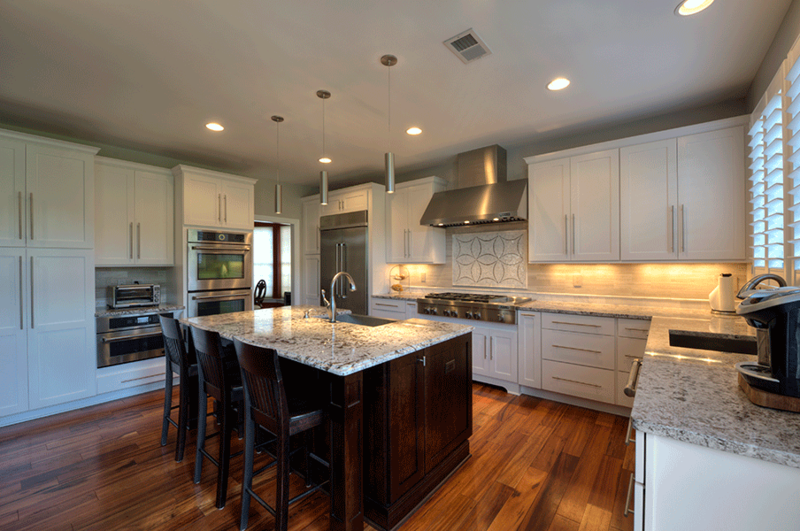 At Rendon Remodeling & Design, we work with all kinds of renovation projects in the Northern Virginia area. When our clients have secured a construction loan, they tend to have more resources to create the home they really desire. We work with the best professionals in the area and recommend Vince Coyle with MVB Mortgage. Vince is a construction loan specialist and can offer the best options for your project. Once you secure your loan through Vince, we can get very creative about coming up with the designs and finishing touches. Consider a construction loan to get the house you want and deserve. Contact us for a consultation and we will also refer you to some local lenders who are construction loan specialists to assist in the process. Also, connect with us on Facebook and follow us on Twitter, and check out our amazing photos on Houzz and Pinterest. Here you will get great information and inspiration on creating your best home possible.